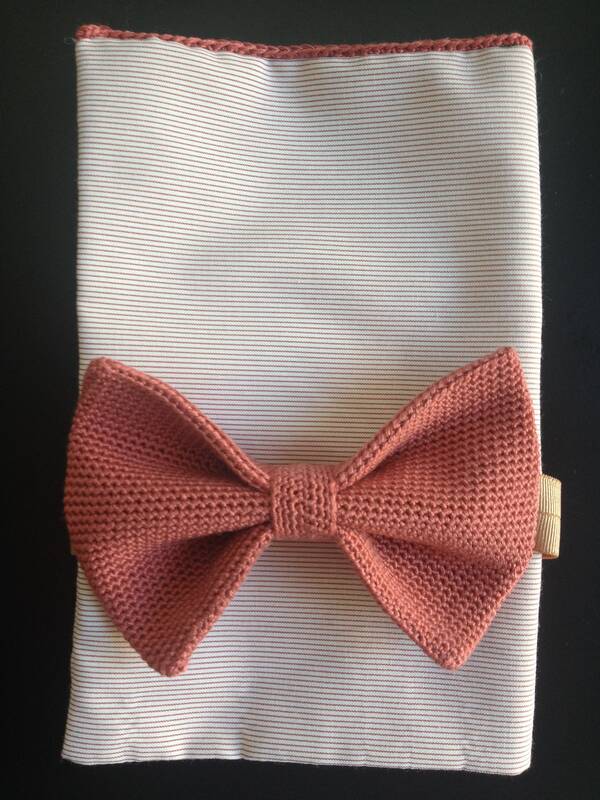 Crochet cotton handkerchief with light coral-white stripes. Important: Bowtie is only decoration and not part of the offer. You can find them in the section "Strickfliegen".